In case you missed yesterday’s service, here’s a recap to keep you in the loop. We engaged in a powerful time of worship. Feel free to listen to these songs again and worship the Lord today. Check out Video Announcements on our YouTube Channel here! If you’ve been through the Perfect Love Inner Healing Seminar and want to learn more about ministry, the next step would be to attend our Transformation class. If you have a heart to minister and want to go deeper in partnering with the Holy Spirit to minister to others in an honoring and loving way, this is the class for you. The Transformation class starts on Sunday, October 22nd and meets on Sunday afternoons every other week for 10 weeks. 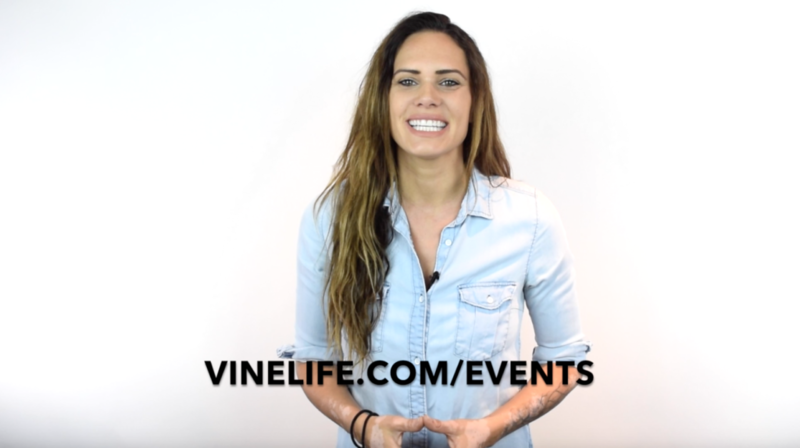 Sign up today on the events page at vinelife.com. Have you ever heard of operation christmas child? It’s an initiative to provide underprivileged children with christmas gifts. Well, our version of this is called Blessing Bags. There is a table set up in the back of the sanctuary. Please stop by after the service. You can pick up a picture of the actual child you’ll be blessing with christmas gifts and a list of ideas of what to buy for that child. Then, over the next two weeks, swing by Target, Walmart or the store of your choice and pick up some gifts. Fill the bag, and bring it back to the table. The Amigos of Mexico team will hand deliver the gifts to children in orphanages in November. It’s a great cause and if we all do our part, we can spread a lot of joy this Christmas. This fledgling movement of Christ followers is now in the thousands. They are only about two months into this movement, and every is going well with the church. First Baptist Jerusalem is doing great. The passage today starts out as a continuation of the beauty that was unfolding in the church. And then things start to get weird. As we read about Ananias and Saphira, we step into some larger questions. When people start dropping like flies in church services, we have to get into greater meaning. It’s interesting to look at the first signs of revival. The outpouring of the Spirit. Not just signs and wonders and miracles. To be clear, we aren’t trying to replicate what they did, we’re trying to experience what they saw. You only do this kind of stuff, if you’ve experienced GOOD NEWS that you now believe. When you are witness to resurrection, it changes your behaviors and habits. This was now normal life for the early believers. Most generous people don’t think they are generous, they call it normal living. Most compassion people don’t think they are compassionate, it’s par for the course. We’re coming into one of the strangest passages in all of the New Testament. But a man named Ananias, with his wife Sapphira, sold a piece of property, 2 and with his wife’s knowledge he kept back for himself some of the proceeds and brought only a part of it and laid it at the apostles’ feet. 3 But Peter said, “Ananias, why has Satan filled your heart to lie to the Holy Spirit and to keep back for yourself part of the proceeds of the land? 4 While it remained unsold, did it not remain your own? And after it was sold, was it not at your disposal? Why is it that you have contrived this deed in your heart? You have not lied to man but to God.” 5 When Ananias heard these words, he fell down and breathed his last. And great fear came upon all who heard of it. 6 The young men rose and wrapped him up and carried him out and buried him. 7 After an interval of about three hours his wife came in, not knowing what had happened. 8 And Peter said to her, “Tell me whether you[a] sold the land for so much.” And she said, “Yes, for so much.” 9 But Peter said to her, “How is it that you have agreed together to test the Spirit of the Lord? Behold, the feet of those who have buried your husband are at the door, and they will carry you out.” 10 Immediately she fell down at his feet and breathed her last. When the young men came in they found her dead, and they carried her out and buried her beside her husband. 11 And great fear came upon the whole church and upon all who heard of these things. Why was God so hard on Ananias and Saphira in this instance, but not others who came with impure motives? Why were they not given a chance to repent and turn to God? What was the actually sin? Greediness? Lying? What can a passage like this teach us? Most of read this and think “Well, that was weird” and then move on. Is there something else here for us? NT Wright makes reference to the timelines of this story. This is just as the church is taking over the purpose of the temple. The temple was the place where God’s Presence inhabited earth. As the veil was torn and the Holy Spirit was poured out, the church then because the habitation of God’s Spirit on earth. There was such a purity and holiness in this young movement, that a story like this sets a precedence for how the church ought not be flippant and nonchalant about the sacredness of gathering together. Story: I talked to Graham Cooke and he mentioned that this was judgement on humans but judgement on Satan. It says Ananias was filled with Satan. Why did God kill them? We don’t really know. And scholars are left with only a few guesses. Many preachers use this text to talk about financial generosity. As much as I wanted to title this talk “Tithe or DIE!”, the reality it is – that’s not what this passage is about. The sin was that they lied to the Holy Spirit. The word that most accurately describes this act is “Hypocrisy”. 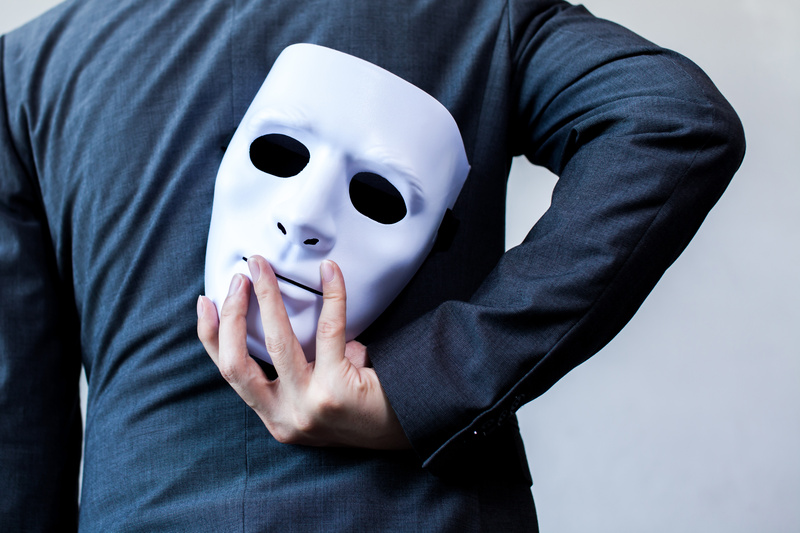 A hypocrite was a Greek stage actor who performed behind a mask. Hypocrisy occurs when the outside doesn’t match the inside. They pretended something was true of them that wasn’t. They wanted people to believe they were more “spiritual” and “holy” than they were. Barnabus brought the proceeds of a sale and laid it at the apostles’ feet, and was celebrated. The next scene is Ananias and Saphira doing the same activity but with a different motivation. They wanted their activity to generate a perception. Why would this be? Possibly because to hide our true selves is an offense to the Gospel. Jesus came to save us when we are at our worst, not our best. His community should be marked by those who live openly with each other. At it’s most basic level, many of us have done this or are doing this. Even this morning, some of you told someone else you are doing fine and that might not be true. It’s easy to project and image if what we think is going to be the most acceptable or received without showing up as we we really are. From our house to the church it’s chaos, but when we walk through the doors, we are suddenly transformed from Mad Max in the Thunderdome to the Brady Bunch. But it’s not like this is the only time hypocrites have ever come into the church. We’re used to this kind of behavior. Statistically, 85% of unchurched people said that they believed Christians are hypocritical. STORY: Friend who no longer believes in God, had become MORE honest after leaving the church. How do we cultivate a culture of vulnerability & honesty? We believe we have a new nature in Christ. That our old nature has been crucified with Christ. So we are trying to cooperate with what God ays about us. Yes, this is good. So we WANT to agree and align with our new identity. But this a process of discovery. Part of the way that Jesus invites into our new nature is showing us where we are still trusting our old nature. So in this process we still have questions, or confusion. We have emotions that don’t always seem healthy or good. To admit that doesn’t mean that you’re agreeing with Satan. It just means you’re putting language to where you’re really at. God is so real, he only meets you where you are really at. This doesn’t mean we have to only talk about problems and pain with each other. That’s a pendulum swing too far, right? Because for many people, being “authentic” means you only talk about what’s going wrong in your life. It’s possible to be authentically joyful! Every Sunday, our ministry team prays for physical conditions and we believe the God loves to heal our bodies. Here are some words for healing prayer from Sunday. If you would like prayer, feel free to post a prayer request as a comment on this topic. Vinelife Kids | We are looking for 3 volunteers to commit to serving one Sunday a month as they invest in the future of the children of Vinelife. Several positions are available. Teachers, teacher’s aids, a management team, etc. Please email Valerie@vinelife.com if you are interested and she can work with you to provide you with the support you need to get started!